Dr Frederiksen is an upper limb orthopaedic surgeon specialising in surgery of the shoulder, elbow, hand and wrist including microvascular and peripheral nerve surgery. Dr Frederiksen maintains public practice at the Princess Alexandra Hospital. 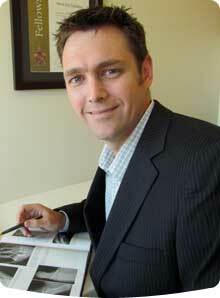 He consults at Brisbane Private Hospital and operates at St Andrew’s War Memorial Hospital, Spring Hill. Dr Frederiksen also consults at the Brisbane Sports and Exercise Medicine Specialists, Hawthorne and Bundaberg Occupational Therapy in Bundaberg. Dr Frederiksen remains committed to the care of all of his patients. He is proud to provide a subspecialist hand and upper limb service to the Bundaberg and Wide Bay district.